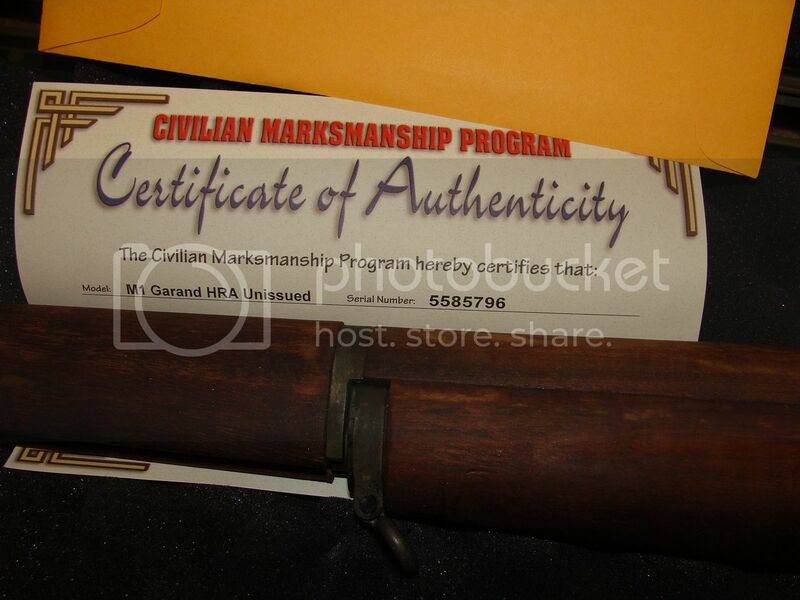 All are SPF - I have four New Unissued M1 Garands for sale. 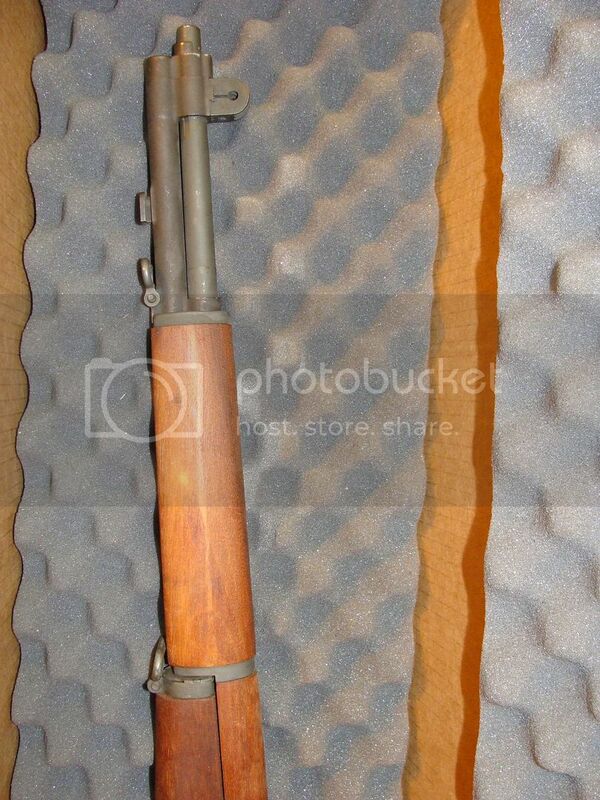 As soon as the weather is nicer I'll post much better pictures. 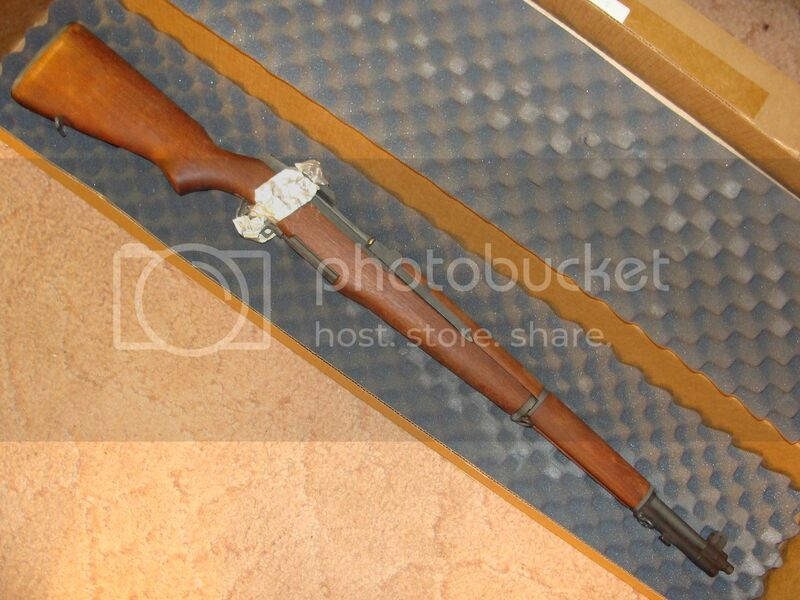 #1 - Un-Issued Springfield Armory M1 Garand, this one has the foil over the rear sight, it is ripped loose from the top that covers the rear sight but all three peices are still there. 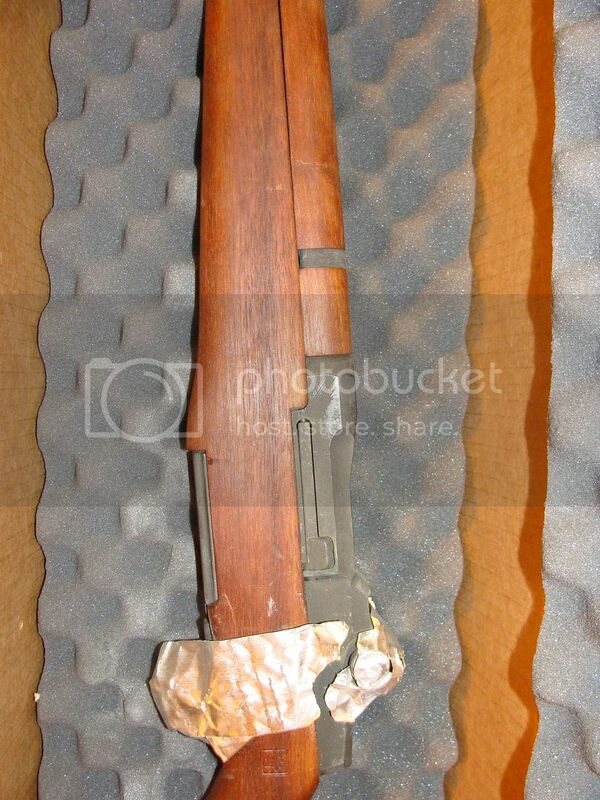 These rifles were dry packed, no cosmoline or grease was applied to the exterior, there was foil covers for the front & rear sights and a band around the stock at the op rod handle (the little tan spot on the handle is all that is left), this was placed into a white bag at the armory for shipment. 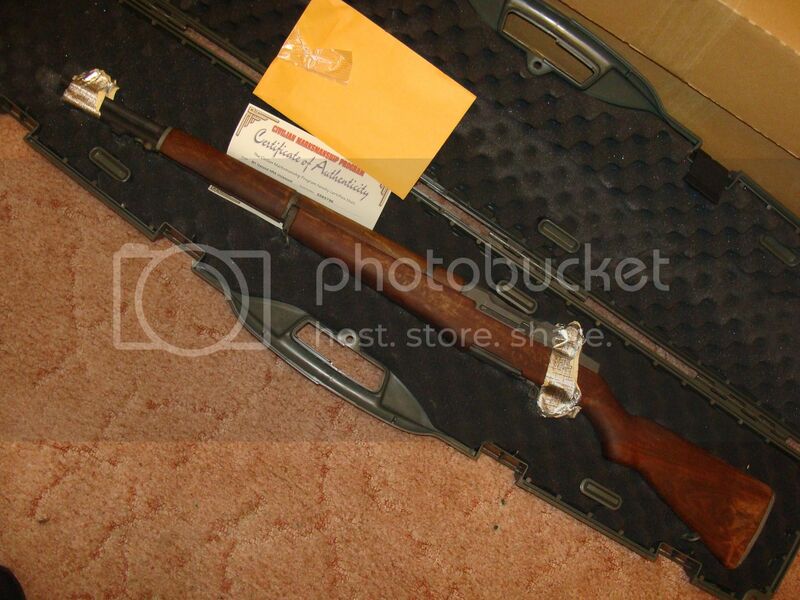 $4,500 plus shipping and insurance. 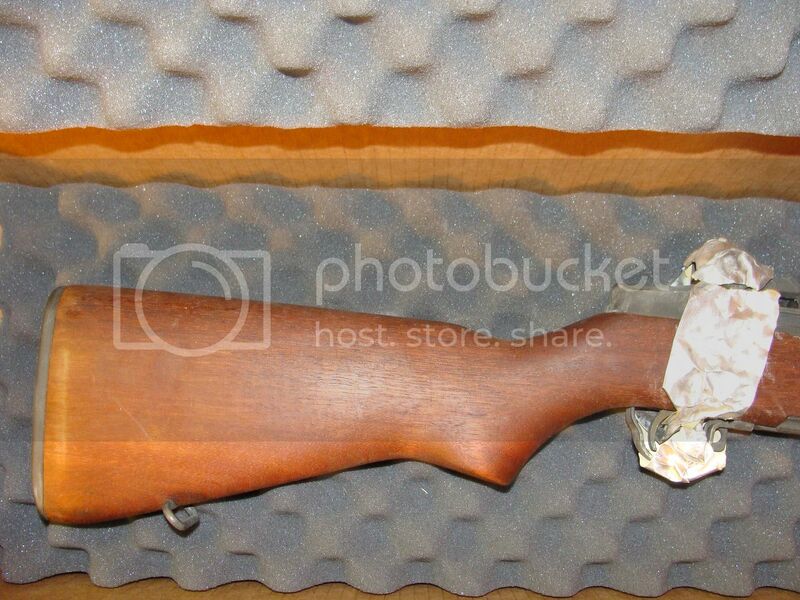 First " I'll take it " followed by an email to bogiem@comcast.net gets it. 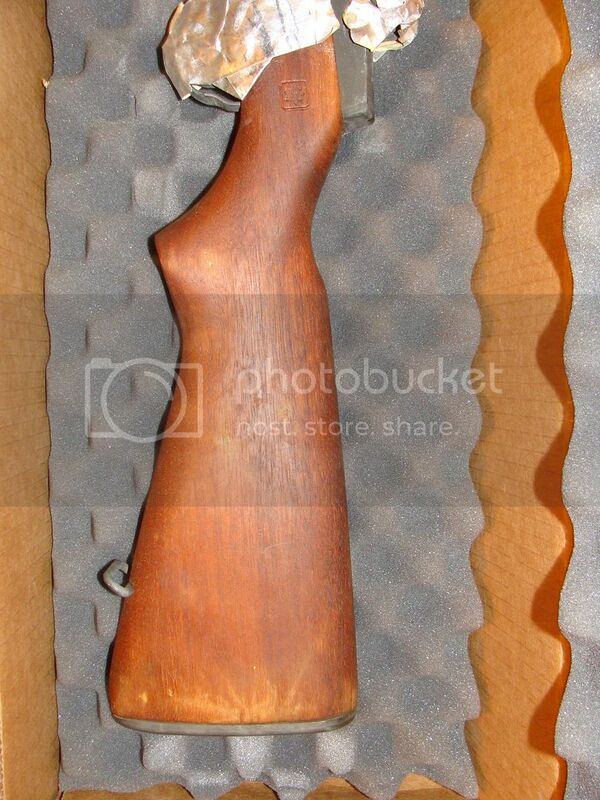 Do not send IM's, I receive to many and have to delete them to keep the inbox from being full. 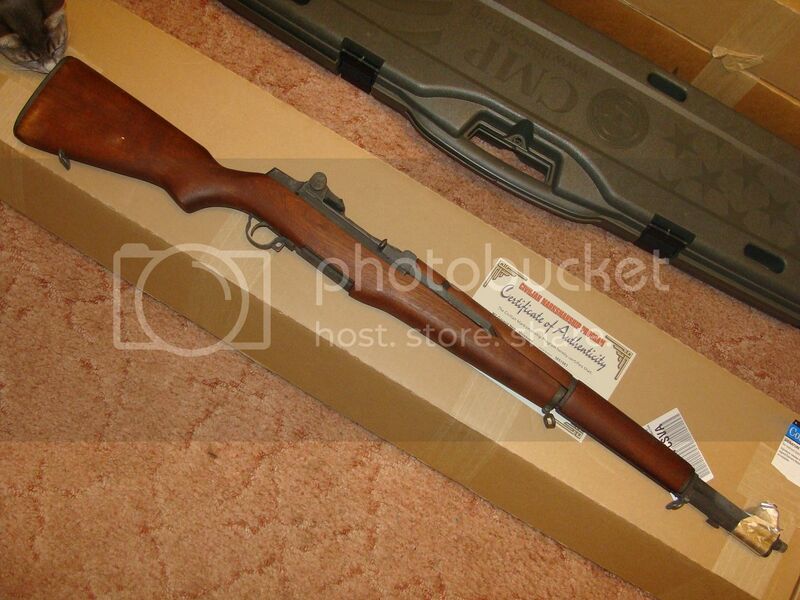 #2 - I have one Un-Issued Springfield Armory M1 Garand for your consideration, this one has the foil over the front sight. 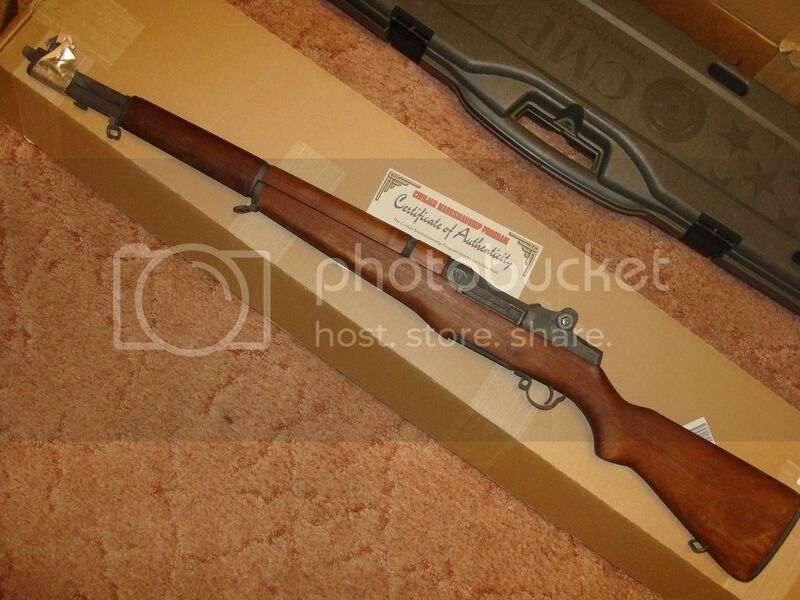 These rifles were dry packed, no cosmoline or grease was applied to the exterior, there was foil covers for the front & rear sights and a band around the stock at the op rod handle, this was placed into a white bag at the armory for shipment. 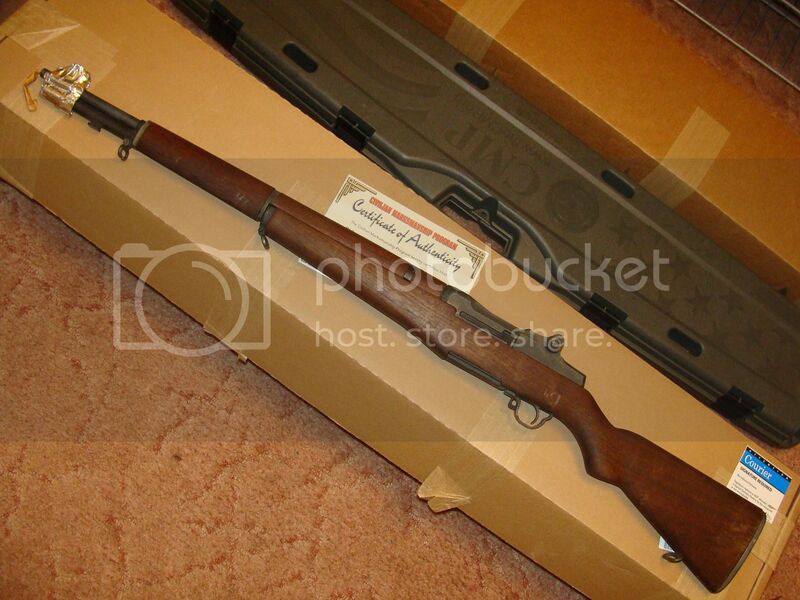 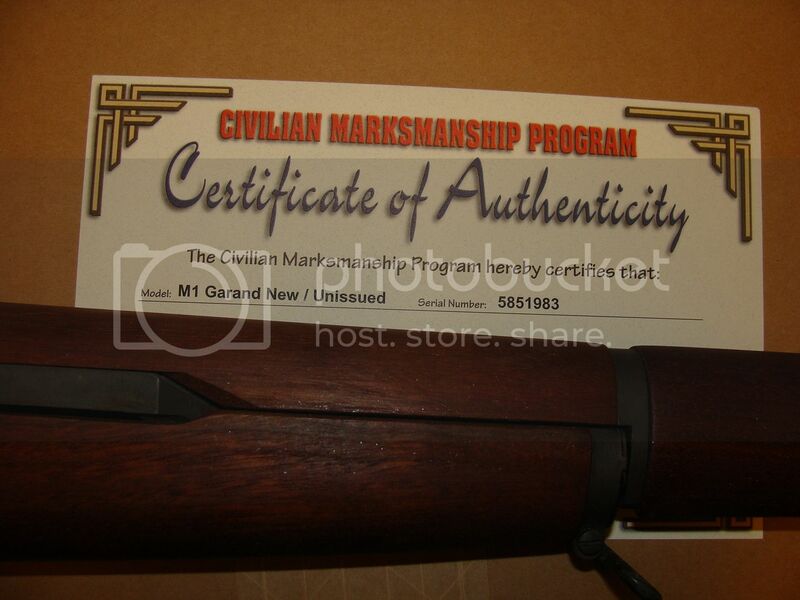 #3 - I have one Un-Issued H&R M1 Garand, this one has the foil over the front sight and the barrel wick. 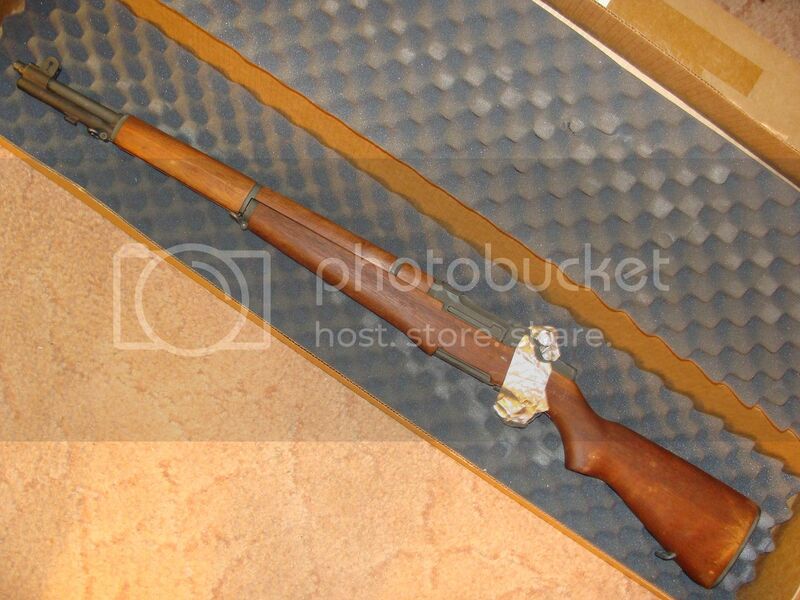 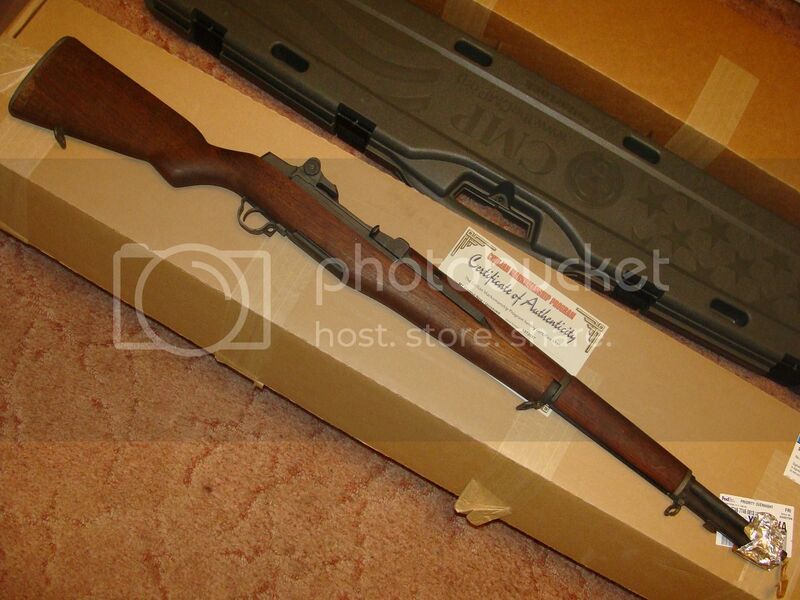 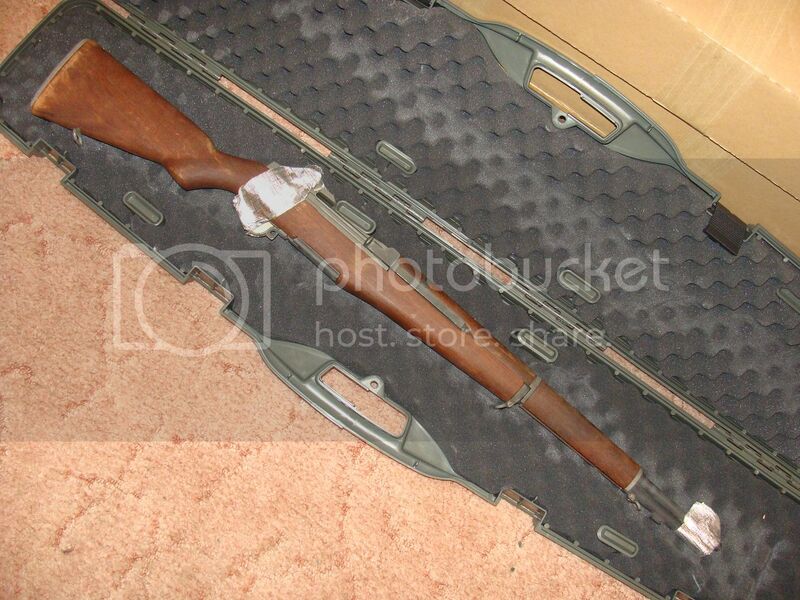 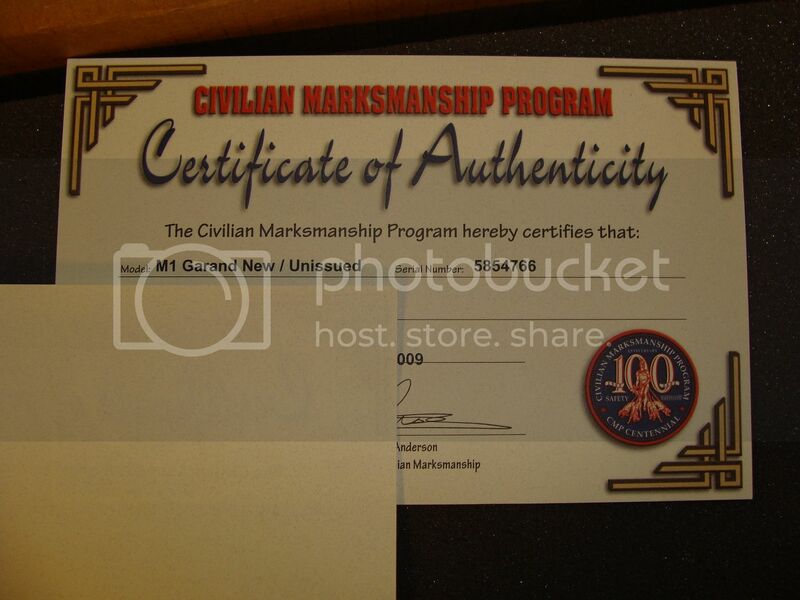 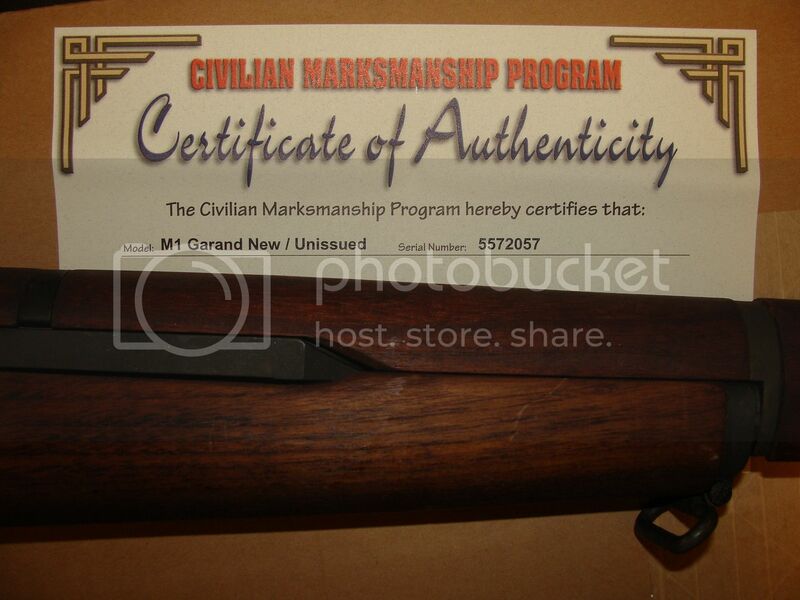 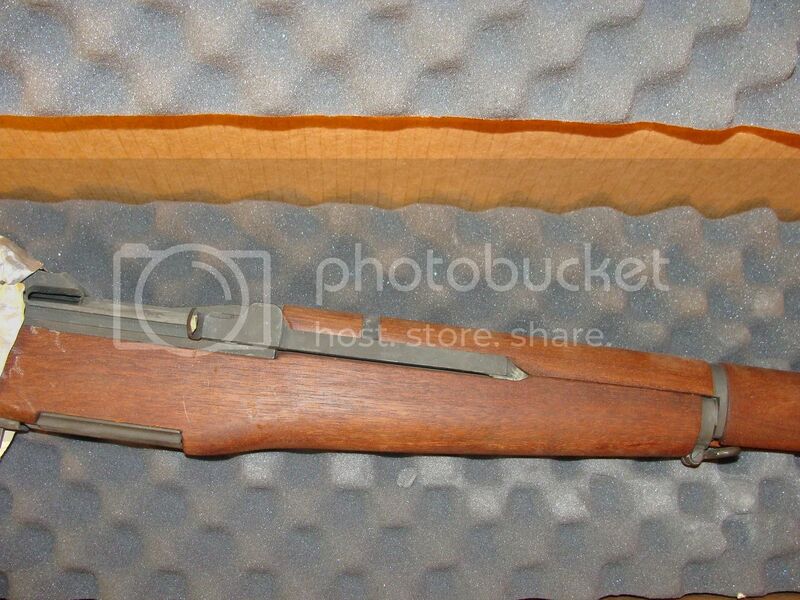 #4 - I have one Un-Issued H&R M1 Garand, this one has the foil over the front & rear sight.